Hymn 169 is titled "God of history," though it begins with the line "Gospel treasure, Christian story." Here is a hymn that talks about the Gospel without actually proclaiming it. It is also high-yield ammo for taking pot-shots at the inerrancy of Scripture, since it shows how "inerrancy" talk and a moralizing spirituality can go hand in hand. For example, take the refrain: "God of history, we pray for wisdom now. Holy Spirit, knees and hearts we bow. Poised for faith's good works, O Lord, Show us when and show us how." The same contemporary author and composer (Wayne Hollaway and Lee Eddie Johnson) responsible for No. 169 also collaborated on 170, "Receive this hymn, our praise." This song emphasizes that worship is a work we do. Lutheran spirituality, as I understand it, emphasizes that worship is receiving what God does for us. "We speak back what He first speaks to us," etc. In other words, it is God's gift, created by Him. But I can't say this with much authority, since my own Synod's leadership would probably endorse this hymn's refrain: "Praise! Praise! Our heart's ablaze..."
Hymn 182, "For the Beauty of the Earth," is a nice little litany of thanksgiving, listing stuff we have to be thankful for and ending each stanza with the line: "Christ, our Lord, to You we raise This our sacrifice of praise." Most if it is all right as far as that goes. But I have always wondered about the last stanza: "For Yourself, best gift divine To the world so freely giv'n; Agent of God's grand design, Peace on earth and joy in heav'n..." Agent of God's plan?? Is that what Folliott S. Pierpoint spent five stanzas building up to? Hymn 187, "Come, Thou fount of every blessing," is the hymn my mind associates with the Presbyterian Church my grandparents used to take me to when I was tiny. When I hear it, I get flashbacks of "baseball sermons" and, particularly, their pastor's Easter Sunday sermon in 1980, which can always be dated by its timely theme of "Who Shot J.R.?" Other than the huge bush of nose-hair he sported, this is literally all I can remember about that preacher. Apart from raising these memories, this hymn also raises irreverent snickers, owing to an obscure reference to 1 Samuel chapters 4 and 7 in the opening line of stanza 2: "Here I raise my Ebenezer." What are teenage boys supposed to think when they spot this line in a hymn? Hymn 190, "Sweet hour of prayer," has words by William W. Walford and music by William B. Bradbury - and if you deduced, from the name "William," that they flourished in the 19th century, you would be right. This hymn apostrophizes the time spent in worship. Spending part of that time singing this hymn seems like a great waste. It is so saccharine, so indulgently theatrical, so mediocre in every respect, that I feel almost certain that singing it (if not writing and publishing it) is a sin. How many minutes must we spend singing about hastening to the place where we already are? Get on with it already! Hymn 191, "This is my Father's world," which shall from henceforth prick memories of the Shire scenes in Peter Jackson's Lord of the Rings film, is an enthusiast's anthem if there ever was one. In singing it, one claims to be able to hear the music of the spheres; to put confidence in "the thought of rocks and trees, of skies, and seas"; to hear God speaking in nature. It concludes that, come what may, "Jesus who died shall be satisfied." Now that's interesting. I thought Jesus died to give satisfaction. But what do I know? With a name like Maltbie D. Babcock, the author of this ditty must know something! Hymn 192, "Blessing and Honor, and Glory, and Power," is sung to an (ahem) 19th century tune called American Hymn, by Matthias Keller (not the German soccer player). This tune title intrigues me. I have lived in America for nearly 36 years now, and I have spent at least half of that time obsessing over hymn tunes, but I can't say I have ever heard this "American Hymn" being performed. Yes, I have noticed it in several other hymnals; but the fact that each time I play it, I feel as if I have never heard it before, suggests that it's very thin stuff, even as Pomp & Circumstance goes. 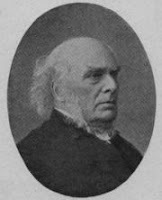 Blustery, random-sounding, it exactly suits Horatius Bonar's forgettable text. Hymn 193, "My Jesus, I love Thee, I know Thou art mine," is a collaboration between poet William Featherstone and composer Adoniram Gordon. Any guesses as to which century it comes from? The refrain - "If ever I loved Thee, my Jesus, 'tis now" - really opens itself up to irreverent interpretations. ("If"??) It's a revival hymn, pure and simple. Work them sinners up to making a decision for Jesus! And if they've made one (or a dozen) before, that's OK, because that "If" throws the validity of all previous decisions into doubt. But what does it do to the present one? Hymn 201, "The love of God is greater far," is entirely the creative work of one F. M. Lehman, who died in 1953 - though the Ambassador Hymnal lavishes credit for the arrangement on Claudia Lehman Mays (d. 1973). Since it might seem like speaking ill of the dead, I won't play a riff on the phrase "damning with faint praise," but I can't see why anyone would be so eager to take credit for a harmony that consists almost entirely of three chords. It's as if someone took the song "God loves me dearly" (Hymn 370), stretched it on a taffy pull, added a few rhythmic grooves from "How great Thou art," and moved it into a key where it can all be played on the white notes. The result is twelve phrases of tedium multiplied by three stanzas. Stanzas making doubtful claims, e.g. that God's love "reaches to the lowest hell." (Isn't the point of hell to be separated from God's love?) Stanzas followed a by an unintentionally funny refrain ("O love of God...It shall forevermore endure The saints' and angels' song"). With words and music like this, "endure" is right! All right, I'm out of time again. More Norwegian-flavored tackiness to come! IMAGES: Old Time Religion; Larry Hagman; Horatius Bonar.